You can’t lead and be happy with the status quo. Sad feelings indicate you don’t like something. Do you really like loss, falling short, or disappointing a client. It may be a learning experience? It’s still painful. 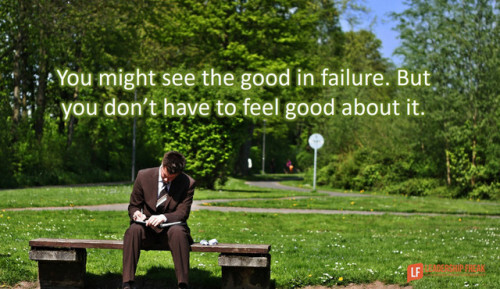 Sadness at poor performance indicates you don’t like performing poorly. I’m not talking about drowning in self-pity. You don’t want to work with anyone who is happy with poor performance.